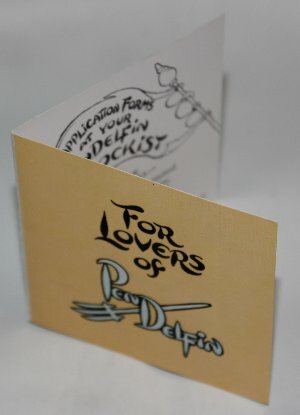 PenDelfin display cards that say, For Lovers Of PenDelfin on the front. There are two different versions in this group of cards, in four of them it talks about the PenDelfin Village Tales books and in the other five it talks about joining PenDelfin Family Circle. On the back of each one is a little PenDelfin rabbit looking out! 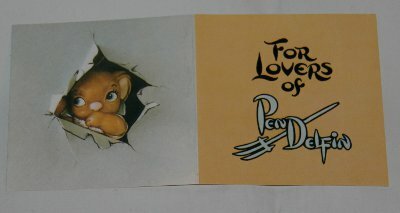 When you purchased a PenDelfin rabbit these little cards used to be inside the box. There are 9 cards in total. Condition: Excellent overall condition. Lovely little cards to dot around your PenDelfin collection!